SPOILER WARNING. The below article spoils significant plot points which occur late on in Logan. Logan, at time of writing, is the forty-sixth best film in existence, according to the IMDb's Top 250 list. Though an impressive superhero offering, it is difficult to craft an academically sound argument which supports that lofty placing. For a start, much of the impressive nature of Logan is due to its reverence for film form past, rather than invention of film future. James Mangold's offering is indelibly linked to George Stevens' 1953 Western Shane (not on the Top 250), directly so, in a scene where Professor X (Patrick Stewart) and Laura (Dafne Keen) watch the film in a hotel room. 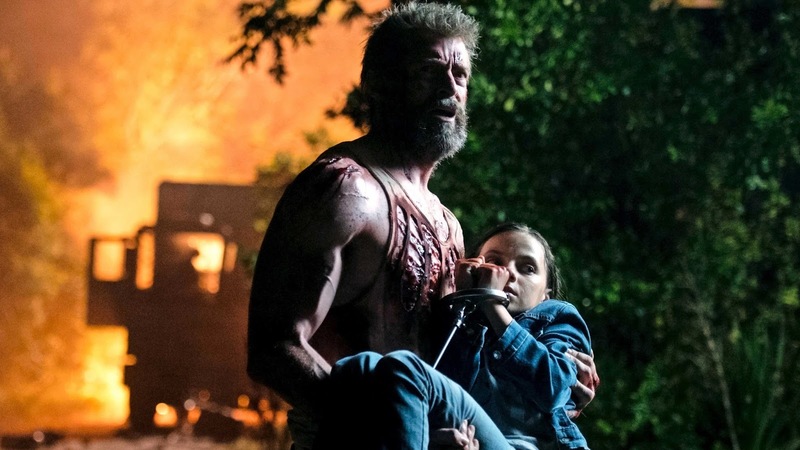 The scene and the characters pine not necessarily for the time the film depicts, but certainly for the time in which it was produced and so, by extension, do Logan and Mangold. The story goes that Logan exists because Hugh Jackman would only agree to a final outing as the iconic X-Man Wolverine if he and Mangold were granted the right to make an R-rated version of the character. Jackman, it has been suggested, took a pay cut to enable the film to exist, presumably from many millions of dollars to just a few handfuls of million. There was an undoubted desire here to make a film with old-fashioned values, an adult version of the superhero yarn. There is romance in all of that. Who can deny that the dust-pocked imagery throughout Logan calls to mind the Western. That Boyd Holbrook's black-clad, moustache-twirling villain is an accurate avatar of evil ranchers past. There is even a scene in which some general no-goods manage to turn off the water supply. Yes, that's right: they've poisoned the well Tommy. Logan succeeds in what it sets out to do. It's a farewell to the Wolverine character from Jackman, posted in the style of film clearly he and the director are interested in and which Wolverine marries well to. But for all of that romance, Logan is a film which lacks heart, confusing the Wolverine character's conflict in the process. The idea transposed to Logan is that he is struggling morally with the wars fought, the battles won, the scars gained. Again, without a doubt, that appears to be true of the character, who is struggling to heal properly, possibly out of a lack of will as much as a lack of physical ability. There is reference to something poisoning Logan throughout the film and it is possible that that something is as much mental as physical. But for all of the success of that arc and the exploration of the same, Logan misses the boat on something more significant. Throughout the X-Men series, Logan has pined for connection. Sometimes he has said that he doesn't want it. Other times he has followed that through with actions. But the surrogate family of Professor X and his school has remained and Logan has remained within it; sometime 'father' to Rogue, want-to-be-'husband' to Jean Gray. Logan gives Logan the closest glimpse yet of what true family looks like, with the reveal that Laura is his daughter. It should be a jumping off place for Logan's inner desires realised, a glimpse at his true self. And yet, Mangold keeps Laura at a distance. 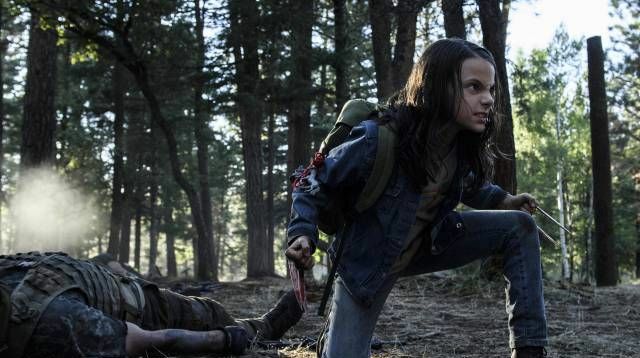 The character is used to explore the violence at the heart of Logan, rather than the warmth. At the film's conclusion, where Logan sacrifices himself to save Laura and her friends, the younger character addressing the older for the final time is meant to signal the waterworks, but she has been kept so removed from him throughout that the link just isn't there. The 'bonding' exercise for these two characters has involved stabbing multiple bad guys in the head, rather than anything more emotionally significant. And that, really, is the film's problem. It is satisfyingly gritty, peddling a lovely line in Western-influenced violence. But it is also a cold and removed send off, for a character we have always known has hidden emotional depths. The depths remain untouched, whilst his violent nature gets a full airing. The film wants you to believe that it is braver and more adult than its contemporaries, but it pursues only the obvious; the crowd-pleasing and the viscerally satisfying. It has romance for all of these things but not, it seems for the character's heart. In the film's other emotional apex, Charles gives a speech about how much he cares about Logan and their time together. But Logan isn't there, even though Charles thinks he is. It's a metaphor for the film's exploration of the character. There's something here, but it's not quite the real Logan, the Logan that really would have been a revelation on screen.